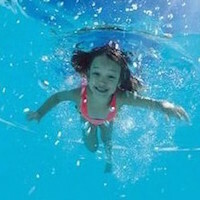 Learning how to relax in the water and relax when swimming is a vital component of learning how to swim. If you are one of those people that find aspects of learning how to swim like floating and breathing quite stressful, then you have come to the right place. Being 'at one' with the water helps to ensure that everything we do in the water and when we swim is second nature and therefore not stressful. Instantly Download THE Swimming Book for Beginners.... and relax. Relax, float and discover how your body behaves in the water. 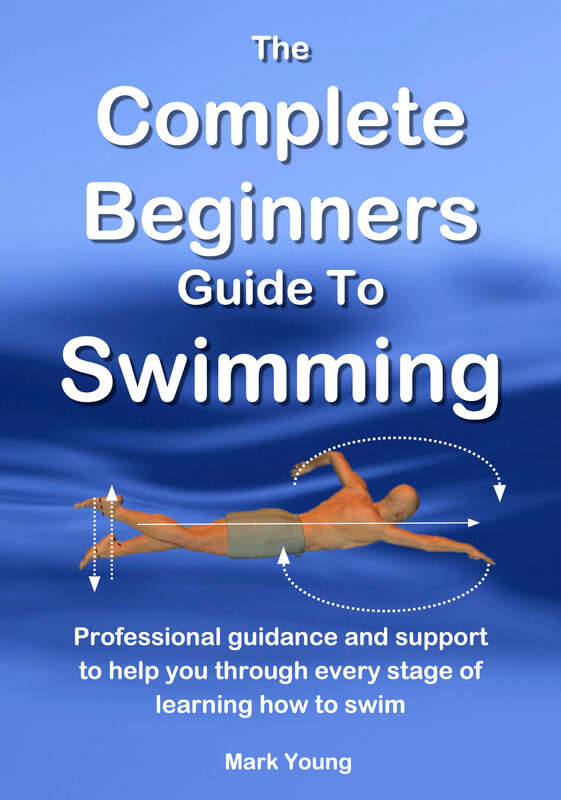 The Complete Beginners Guide to Swimming is the book to support you all the way . Submerging completely under the water is a great way to learn how to relax. Grab a pair of swim goggles, put them on your eyes, take a deep breath and down you go. What do you see? Everything very clearly, so you have a very clear perception of where you are and what you are doing. What can you hear? Not much if anything. All is peaceful and quiet. Now try slowly moving about. Notice how gracefully you can move, almost like moving around on the moon without gravity. That is the water trying to support and lift you. Obviously you can only do this for as long as you can hold your breath, but the more you do it, the more you get a feel for how your body behaves in the water. As you get more of a feel for the water you will start to get an idea of your level of buoyancy. This means you can gradually work out how much or how little movement is required from your arms and legs to keep you at or near the water surface. You don't actually have to do any swimming when you do this. Just go underwater and experiment. Play around. Get a feel for the water and eventually you become more comfortable and be able to relax when swimming. Click here for more about how to submerge and go underwater. There is a common misconception in beginners learning how to swim, that the harder we kick, pull or paddle then the better our chances are of remaining at the water surface and actually swimming some distance. Quite often the harder we kick, pull or paddle the less we move through the water and eventually we begin to sink. The first rule of relaxing when we swim is to move slowly. Now you are thinking 'but if I move slowly I will sink'..? That is partly true, but if you move slowly you get a feel for the water and then begin to relax when swimming. You must learn to 'feel' your way through the water and not 'fight' your way through it. Get the concept into your head that the water is trying to support and hold you up. Beginners learning how to swim often think that the water is something that is trying to pull them down and that they have to fight to stay on top. This is particularly common in people that may have a fear of water or fear of swimming. Water does not behave like that. Even those of us who do not float naturally and tend to sink, we sink very slowly and gradually. By moving our arms and legs in some kind of swimming manner, we are simply doing our bit to help the water to support us. Breathing regularly when we swim helps to keep us relaxed and calm. It is very common to either hold our breath or exhale in the water, but do it to the point of exhaustion. The result being a frantic and panic stricken gasp for breath before submerging the face and repeating the pattern again. So, breathe long before you need to. Don't wait for your breath to completely run out. Take a new breath at a point that is comfortable and easy to do. You wouldn't breathe out to the point of exhaustion when running or cycling, so why do it when you swim? So you have become used to submerging underwater, you can move around with slow, gentle movements and you can breathe at comfortable moments when you need to. Everything you do in the water is now more relaxed. Your body is more relaxed. Now apply these concepts and practices to your swimming technique and swim with a relaxed smooth stroke. You may be pleasantly surprised to find you can relax when swimming and do not sink anymore.